This post is sponsored by KidzVuz & Amazon Original Series "Annedroids" All opinions expressed are my own. Who's excited for the 3rd season of the Emmy Nominated series Annedroids to debut on Amazon Prime? I know we are! This is the first series that I've caught to date that seamlessly incorporates STEM curriculum and concepts into the storyline - in a fun relatable way for kids. I had the pleasure of previewing a few of the episodes from the upcoming season with my daughter, and I'm absolutely loving the strong female role model that they've created in the shows lead character, Anne. She approaches every new challenge with optimism, and through some trial and error, she finds a solution. Her "anything is possible" approach is a refreshing change of pace in comparison to other viewing options available for this age bracket. 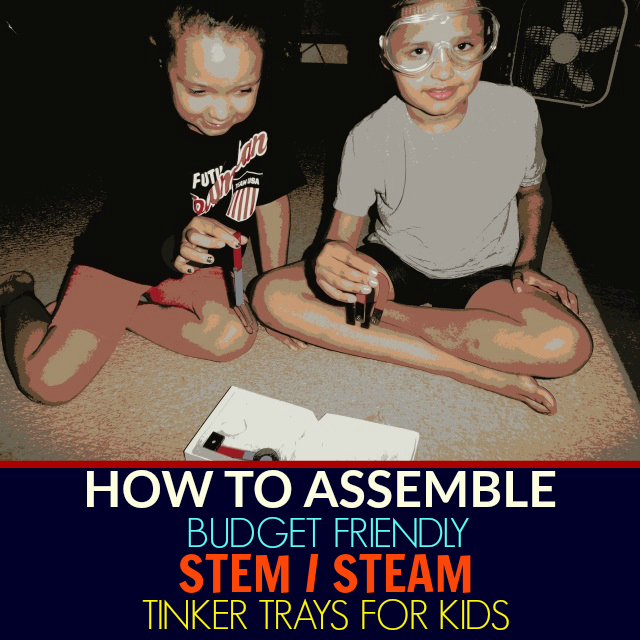 Read on for more on the 3rd season of Annedroids + check out our simple tutorial below on how to assemble budget friendly STEM/STEAM tinker trays for kids. Amazon's original series, Annedroids follows Anne a young aspiring scientist, her two best friends, and her android friends/assistants that she's constructed. Annedroids specifically highlights how STEM skills (science, technology, engineering, and math) can help us to achieve immeasurably more than we can even imagine. Sky's the limit! The third season of the hit series brings back Anne and her friends (Nick and Shania), along with her android friend Pal, for more fun, adventure, and experiments.. 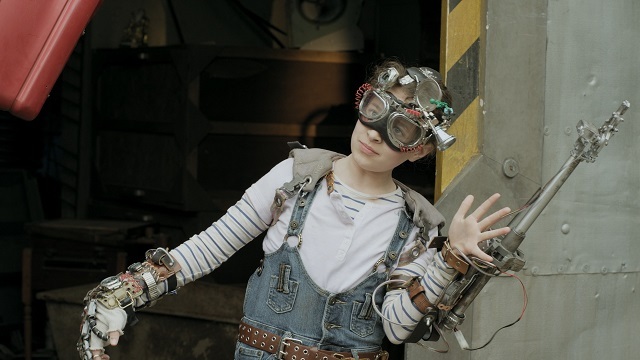 This season we'll also watch as Anne builds a new android (or "dogdroid") named fangs, and Pal longingly attempts to transform herself into a real kid. 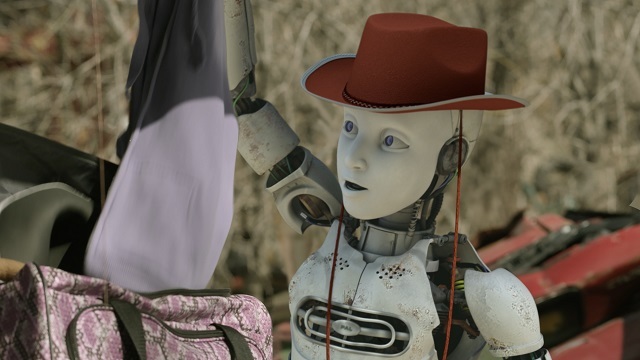 "We're excited to debut a third season of Anedroids and are thrilled about the series' recent recognition with the Television Academy," said Tara Sorensen, head of kids programming at Amazon Studios. "Our customers have embraced Anne and her tenacity to innovate through trial and error, a powerful message to kids." 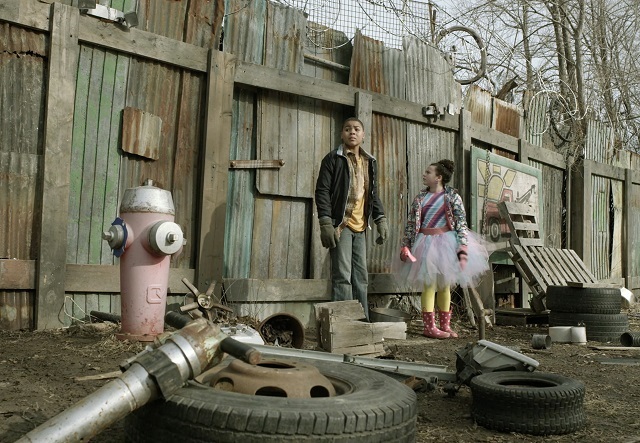 "Annedroids continues to defy stereotypes and expectations," said J.J. Johnson, series creator and executive producter. "W're humbled by the critical acclaim the show has received and excited to present our fans with an epic thried season of more action, more drama and more robotic mayhem." Prime members can stream the third season of Annedroids on June 24th, at no additional cost to their Prime membership with the Amazon Video app for TVs, connected devices, and mobile devices or online at amazon.com/annedroids. Prime members will also be able to download the series offline for viewing on IOS Android and Fire devices at no additional cost. Annedroids is also available as part of Amazon FreeTime Unlimited, Amazons subscription service designed specifically for kids. I'm a long time advocate for encouraging kids to learn through hands-on projects. We've been doing science experiments, projects, and crafts with the kids from very early on. I snapped the pic above of my two older kiddo's when they were about 5 and 7. We did a fun experiment involving magnets at the start of the summer. No need for safety goggles - but my son was so enthusiastic he insisted on wearing them! Over the years I've discovered that when kids are provided with the right tools and opportunities, the possibilities are literally infinite. "What can you build tinker tray" - fill a tray with items that a child can potentially build a structure with. Scissors, straws, pipe cleaners, and cardboard tubes. The challenge would be to assemble the structure without glue. Perhaps through cutting small holes in the tubes to insert the straws to create a point of connection between the tubes etc. "Does it stick" fill a tray with an assortment of bolts, washers, a pencil, a pen, cotton balls, a balloon, magnets etc. The challenge would be to find the items that stick to the magnets, the items that don't, and observe any other reaction that items may have to the magnets - and WHY? "Think outside the box creatively" - fill a tray with clothespins, cotton balls, pom-poms, plastic bottle caps etc. and washable paints - then supply your child with paper. The challenge would be to use the items to do a creative painting using the items found in the tray - without the use of a paint brush. For the most part, toss out the rules and allow your children to explore, experiment, and discover on their own. You'll be amazed at how quickly their critical thinking skills develop and change along the way! What are your favorite STEM / STEAM activities to do with your children? I'd love it if you'd share in a comment below or tag me on twitter @one_savvymom .